The Qube range features a cool and chunky squared design. The Qube range of bathroom accessories are designed and manufactured to the highest standards by leading bathroom brand Bristan and come with a 5 year guarantee. 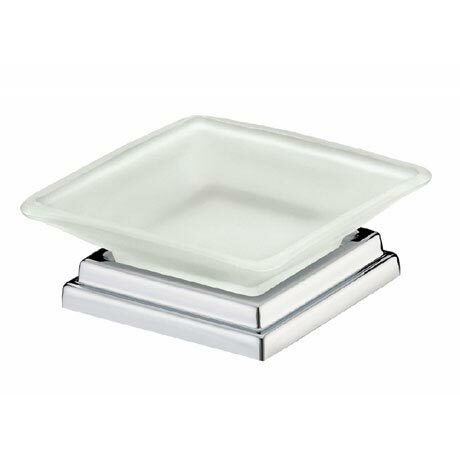 Smart attractive soap dish shiny chrome base with attractively shaped glass dish.